The $70 tickets are purchasable by the public! Only 50 tickets are available. Tickets sell out quickly; reserve your ticket today! 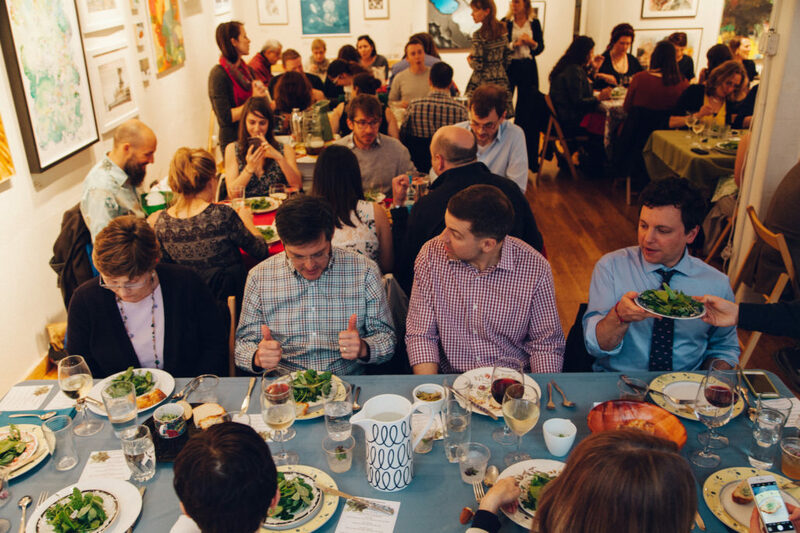 Enjoy a seasonal cocktail, followed by a three-course vegetarian meal accompanied by wine. Limit of 3 drinks per guest. 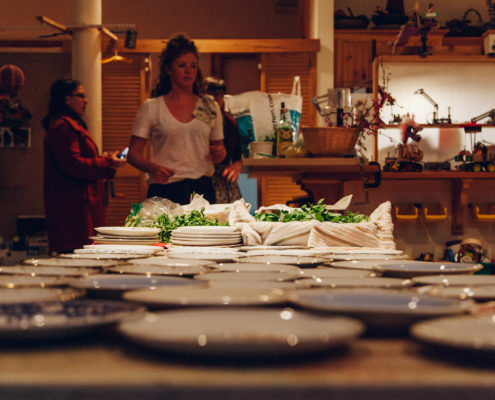 Chef Paul Lang and David Craft will introduce each plate and its foraged components. 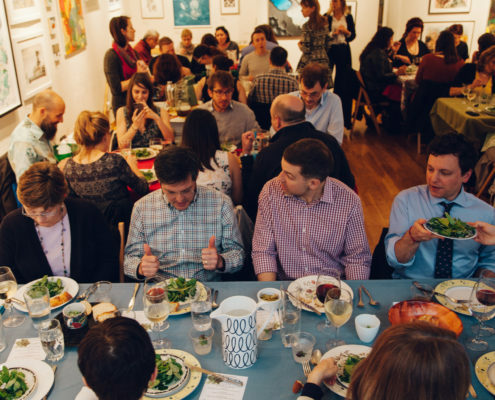 The Gallery 263 Annual Foraged Banquet is a completely home-cooked meal containing foraged and local ingredients. 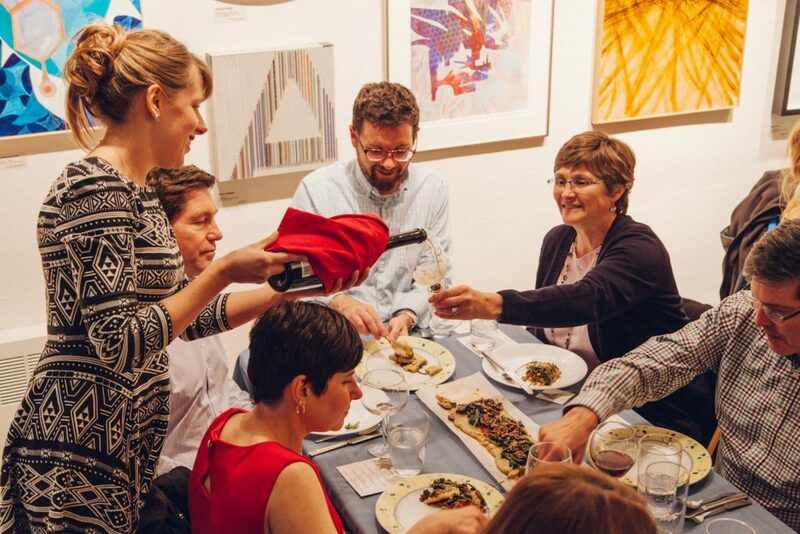 In true grassroots spirit, our Board, staff, interns, friends, and neighbors all pitch in to transform the gallery into a dining room, and lend a hand to our Guest Chef. 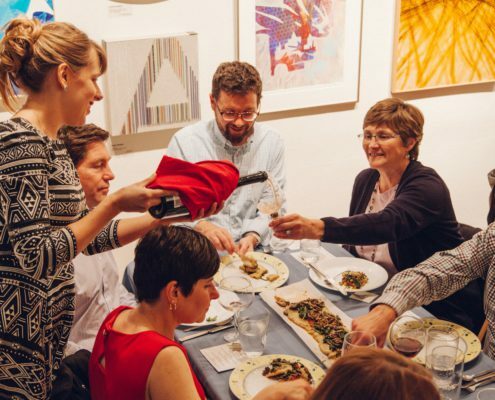 We work together to bring you fresh, delicious, and beautiful dishes, and we love sharing the stories and inspiration behind your meal with you. 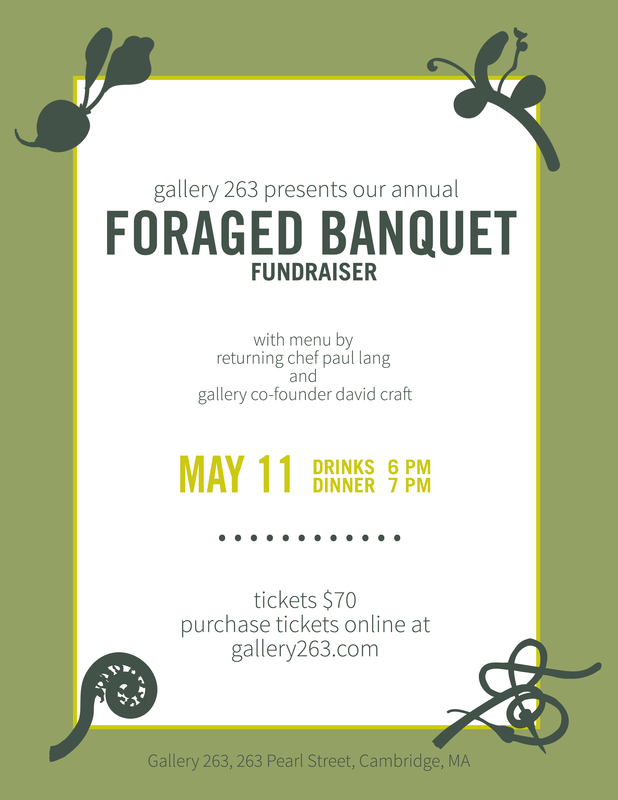 This year, gallery co-founder and expert forager David Craft will partner with returning chef Paul Lang to create a multiple-course menu featuring foraged and locally-sourced ingredients. Light vs. Dark—a national exhibition juried by Ruth Erickson, the Mannion Family Curator at the Institute of Contemporary Art in Boston—will be on display during this event for your viewing pleasure. 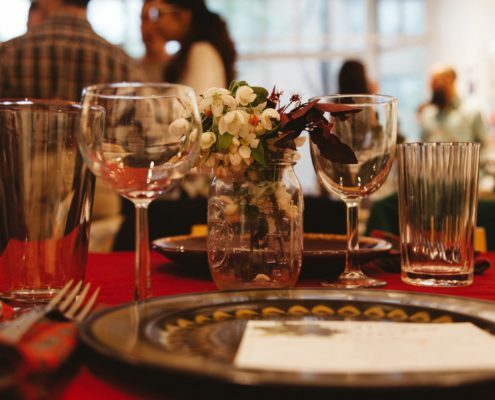 The Banquet is a cozy, personalized experience that makes you feel like part of the 263 family. Welcome to the table! 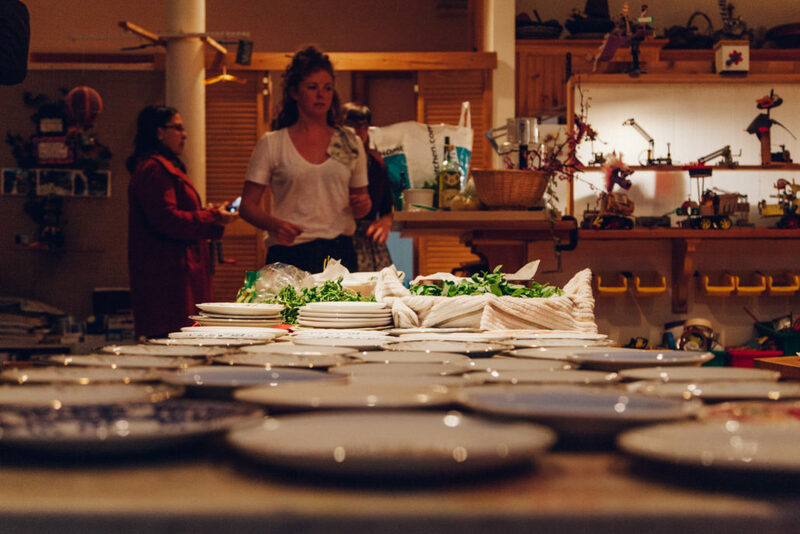 We are pleased to welcome back Paul Lang, our guest chef for the Foraged Banquet. Paul has more than twenty-five years of experience in the food and wine industry. 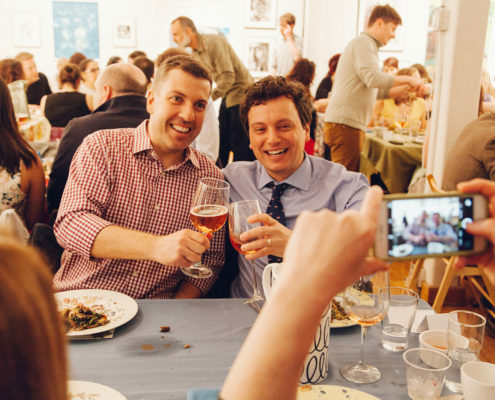 He has worked as a chef for the Capezzana Estate in Tuscany; served as a wine director for some of New York City’s best restaurants; and owned and operated A Casa, a wine and food events company recognized in Food and Wine, The New York Times, and many other publications. Paul is now a senior manager for the food tech company Toast. 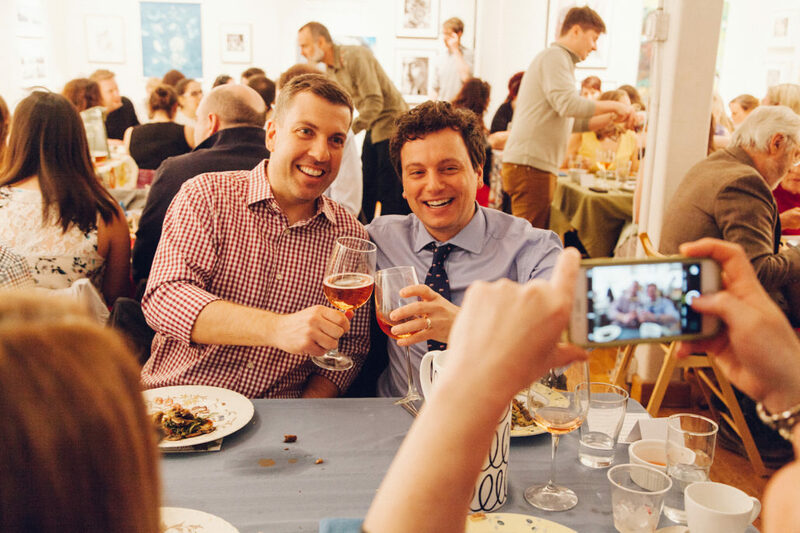 He always loves working with Gallery 263 (and his oldest friend Dave) at the Foraged Banquet! 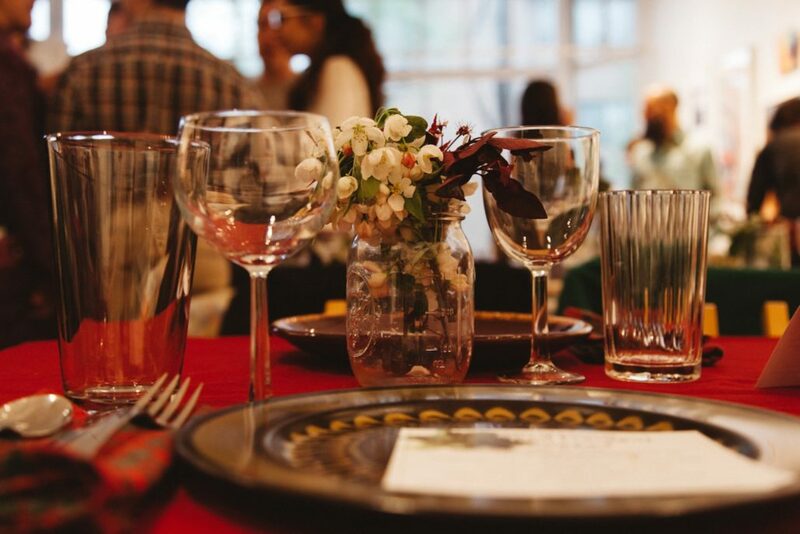 David Craft, a wild foods enthusiast and author of the book Urban Foraging, traditionally infuses our foraged banquet with hand-collected greens from Cape Cod. David is also a teacher of foraging, and often instructs through Brookline Adult & Community Education.